It is ideal for a range of uses at home and in the office Extra sticky，To withstand stretching. 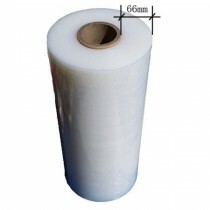 Different popular width 48mm in New Zealand The width 60mm is helpful to wrap some heavy product,. This Tape dispenser is made from Steel. With Sharp steel Blade and Anti-Reverse blade,Dispenser can be used in 48 mm Width sellotape and 60 mm sellotape,It is designed with Anti-Reverse. 500 mm Width 500 m Length Thickness 20um, Weight 4.2 kg, Clear and puncture resistance, our length is sufficient for you, as our weight is 4.20 kg Hand Pallet wrap competitive in New Zealand. Machine stretches film mixed with a metallocene, with a high tensile strength and puncture performance. The stretching ratio is 2.5-4 times,The stretching rate is 300%, and product stability, in particular, uniform film thickness, the use of stretch film is to ensure that the consumption low, reducing the overall cost. 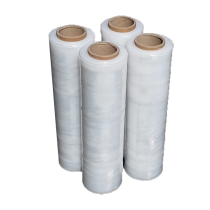 Stretch film / Pallet Wrap means: is a packaging material, has a tensile effect. 1 m of the film can usually be pulled between 3-5 meters, it is often more often used in the logistics industry. Has a higher tensile strength, puncture resistance and impact resistance. And has good retracting memory and self-adhesive, can make the goods wrapped into a whole, to prevent the fall and dust pollution during transport, and also has excellent transparency and extensibility, can make the packaging beautiful and generous, economical and practical. 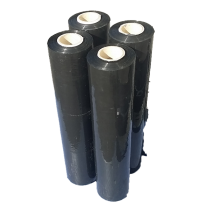 Stretch film / Pallet Wraps are environmentally friendly recyclable materials.